Every year, Music: Count Us In enjoys widespread coverage as participants come together for the biggest music education program in the country. Many schools are featured in their local newspaper, on local and national TV and radio, so that the whole country can get involved and learn more about music education. Below is a sample of this years coverage. Below is a sample of last years’ coverage. Below is a sample of 2015 press coverage. 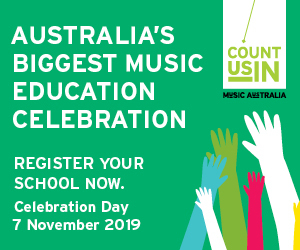 Interview with Kristie Cote, Music Teacher, Ipswich State School on Oct 9.